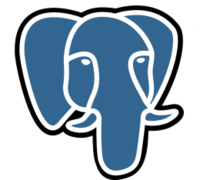 Recently, someone asked for some inputs before going ahead with a PostgreSQL Certification. From what I know, outside Japan, EnterpriseDB is the only Consultancy that offers Certification services consistently over the past few years. Having recently cleared one, I had a few things to say therein, and thought I'd rather enlist them as a full-blown post here. EnterpriseDB is (now) a well known name in the PostgreSQL consulting world. Amongst most others that I know, I've seen only this Consultancy offer Certification services consistently over the past few years. Although PostgreSQL is decades old, (for a large part of the closed-source world) it is relatively nascent in the Enterprise arena, and thus there is an utter shortage of good DBAs. As is with most other job hunts, the cream (of PostgreSQL DBAs) get hand-picked from the mailing lists, some get picked-up by references, but most others have to prove their mettle in technical rounds. In such situations, when a candidate is to compete with a big-pile of resumes, a 'Certification' certainly puts you on top of the stack. I come from India and am quite amazed at the scope of bargaining possible when trying to go for one of the available online Training courses (mind you, only trainings, the certification costs were non-negotiable). YMMV in other countries, but I certainly would recommend at least attempting negotiations, (especially, if you're paying for the certification yourself). The Online variant of the training, are recorded sessions and having read about a few of the trainers, I think I have a fair idea why there is heavy MTI (mother tongue influence) on the Pronunciations, despite the trainer desperately trying to anglicize it. Similarly one could see repetitive grammatical / MTI related issues which come in form when the speaker isn't primarily English spoken. This isn't a show-stopper, but is something that could help in building expectations before enrolling. For e.g. Instead of going to its 'backside', I'd rather go 'behind' it. Another aspect of Quality is that the sessions are aimed at Novices. Its quite understandable that the trainer takes things pretty slow at places, but if you're already a DBA and aiming to just 'brush through' this training to give the certification, then one must mention that you're going to torture yourself to frustration :). Putting it more accurately, you're probably going to really miss that the video doesn't allow you to play the video at 2x or 4x speed.... (a-la Coursera). Another aspect of this, is that it seems the training materials are conducted with trivial amount of editing. That sounds economical, but at times you feel that the editing team, could have clipped the odd 'aaaa... I think the internet is down, or probably some maintenance is going on at AWS...' during a hands-on class-session. These are rare, but some avoidable clips could be edited out, since it just adds to the wait time. The instructors probably did a good job explaining the system. I wasn't expecting Tom :) or any of Greg or Josh to start with, but they get the job done, and that's what counts. The slides on the other hand, seem to be prepared by someone knowledgeable and with some decent experience handling PostgreSQL. To be fair, the training tries to cover a large ground, and in a short training like this, one obviously can't cover all aspects of such a huge topic. All-in-All, it does give essentials to get a Novice DBA going. The Test (attempt) is "not" conducted in a Pearson Vue / Prometric center as you'd probably expect. You can give the Test from anywhere. I am sure, I was quite impressed knowing about this convenience. I chose to give my attempt from my office at a lean hour, and it was done in a jiffy. For those, who aren't very confident about giving the Test and instead prefer to 'Google' answers (now that they know its in a convenient location), be fair-warned, as in most cases, the people who set the tests (I know at least one!) are some pretty smart people and probably they've already accounted for this, by giving you 'just about enough time' that you'd effectively be penalizing yourself by expecting yourself to 'search' your way through for all answers. On the flip-side, to recommend, I must say that Googling a trivial doubt or two, is probably okay, as long as you are 'very' sure about the timer that ticks along pretty fast. The key to this recommendation, is, as always, be very thorough about the PostgreSQL online Documentation. If you know where to find things, you're probably going to do just fine. The interface is a no-brainer, and gets out of the way to enable you to focus on the Test. To note, just like any other test-interface, I quite liked the practise-test to get you to feel the Test, before the actual attempt. Ensure you try the 'check later' option to see how it works, at least I found it helpful / useful to review things at the end. For those with a bad-connectivity, it does allow you to 'continue' a test, if you get disconnected. Although I didn't get to try it myself, a close friend did find himself unable to proceed in the test and promptly emailed the Training Coordinators about it. They (took a while to get back but) recommended a better internet-connection and gave him a re-attempt. The only caveat with 'continuing' is that the questions already attempted remain 'fixed' and unmodifiable. The candidate was only allowed to attempt the 'remaining' questions with the 'remaining' time on the test-timer. The results are generally out within a few business-hours. Mine came within 2 (US) business-hours. Another friend, who similarly did attempt the test, didn't hear a word for a little more than a weekend. Her fears were proven correct when she realised that she didn't clear. Re-attempts are possible, but they'd not just cost extra (just the certification cost) but currently only three attempts are possible for 'any' Test. Officially, a Training isn't required to give this Test. However, if you take a Training session, an Test-attempt is free. My recommendation? If you're a seasoned PostgreSQL DBA, you'd probably do okay without it... if you are able to brush through the training, it certainly wouldn't hurt. Officially, a Training is mandatory. As with Associate, you get an Test-attempt for free. I'd say that the Training is just an extension of what the Associate Training was. 60% of the modules are similar, with extra Labs + additional modules depending on the topic. All the best :) ! Lengthy but good one. Hope it definitely comes in handy. Hello. Is this certification for Postgres DBAs or for Postgres developers? This is for PostgreSQL DBAs... I don't think there is any Certification (at least for the general public) that is for PostgreSQL Developers. thanks Robins. I'm basically from Oracle and moved to Postgres recently. I want to take a certification in postgres. Would you mind helping me with the links (to register etc.,) Thanks in advance! This exam adopts "PostgreSQL" as the standard RDBMS and you can take this exam all over the world! commonly used and the number of company is increasing each year relying on the system. How do you study to thi exam? They use webcam in the exame? Any basic certification for Postgres sql Developer? please provide the details. Loved it! I've few question. How do I contact you? Why's my database suddenly so big?